StumbleUpon is more than just a social networking or a bookmarking site. People use it as a discovery engine, brainstorming and marketing tool and even for entertainment purposes. Here is a list of cool stuff you can do on StumbleUpon that you might not have heard about previously. Drive traffic to your blog: Share your best content and bring in users to your blog from StumbleUpon. Review content: Stumble interesting content and write review for them, so it helps people to identify what the content is all about. Networking: Follow likeminded users, stumble and review their content and make your content get stumbled back. Share: Share interesting content, so more people can discover it on StumbleUpon. Social voting: Rate the contents you discover upwards or downwards. Social bookmarking: Save links to interesting content so you can refer it and share it later. Discover new content: Browse through the contents and discover what’s new and what’s hot on your favorite topics. Raise brand awareness: Get more stumbles for your content and get your brand in front of more people. Meet likeminded people based on interests: Click on an interest, go to its info page and discover other people who follow that interest. Meet likeminded people using tags: Tags are helpful for discovering recent hot topic. You can discover people based on tags. Meet real people who like a webpage: Using StumbleBar, go to comments page of a webpage to see the people who liked it. Brainstorm content ideas: Use StumbleUpon as a brainstorming tool to discover what sort of content is more likely to drive the most social engagement. Build follower base: Growing your follower base of your brand can help you share content directly with them. Know StumbleDNA of stumblers: StumbleDNA is a quick representation of what a stumbler likes the most. It helps you easily identify what you and other stumblers have in common. Make your content viral: Nonetheless, SU is one of the best viral marketing tools. Comment on a stumble: Leave a thought or opinion about a stumble. Track the performance of stumbles: Stumble content and learn how many likes it gains. Block domains: Use dislike button to block domains so no more content will be shown from that domain. Traffic source: View the traffic source of the page you share. Real-time view count: Add SU badge to your website to gain extra traffic and display how many times your website has been viewed by StumbleUpon users. Shorten and customize your URL: Shorten your URL using Su.pr . Paid discovery: Test advertising on StumbleUpon. Organize your favorites: Tag your favorites so that it will be easier to find it again. Target your niche audience: Distribute your content by laser targeting to your niche audience. 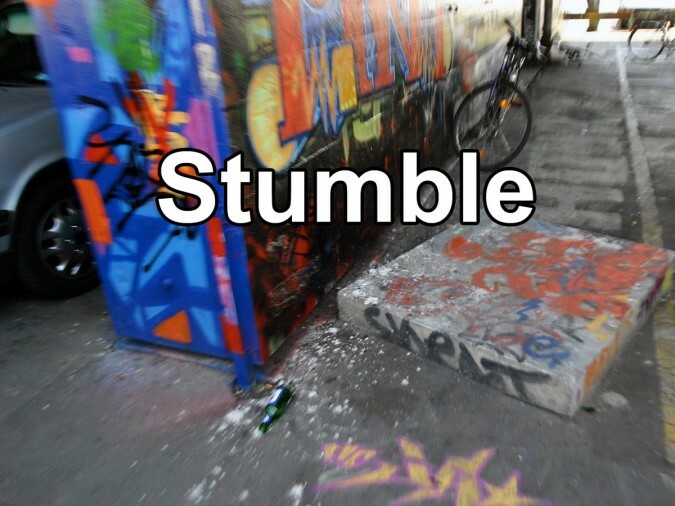 Message stumblers: If you are following a stumbler and they’re following you, you can message them on SU. Use paid discovery to get extra organic traffic: Buy traffic to your website using SU paid discovery. In addition, you’ll get more free organic traffic if more people are engaged with your content. Dislike and mark ‘page doesn’t load’: Submit negative rating for broken page. Dislike it when a page you discover through SU doesn’t load or produce a 404 error. You may open the drop down menu and mark it as ‘page doesn’t load’. Access to user database: Get public access to huge database of 20 million people, their interests and activities on SU. Share discoveries with followers: One of the big advantages of creating a strong following is that you can share your discoveries with your followers. Report wrong topic: Dislike it if a page shown is not in the correct interest. Open the drop down menu from the dislike button and choose ‘report wrong topic’ and suggest the correct interest for it. Share to social networks: Share your favorites to other social network including Facebook and Twitter. Share favorites: Share favorites to followers on StumbleUpon. Get to know more about your friends: Search your contacts through email or Facebook and find their interests and likes. Accept shares from user: Once you follow a user, you can accept shares to your toolbars. Get huge exposure in the cheapest price: Tired of high CTR of traditional CPC ads? Try StumbleUpon ads, the cheapest way to attract quality traffic to your site. Word of mouth advertising: If a visitor stumbles upon your site and finds something remarkable, he will tell others. Convert one-time blog visitors to regular visitor: If you could consistently drive organic traffic from SU, you are more likely to hook them around on your site. Learn about your competitors: Discover the competition and use SU as a research tool to stay ahead of the curve. Get honest reviews from your reader: Unlike blog comments, stumblers are more likely to submit honest review. Use StumbleUpon Arbitrage: Monetizing your site with CPV ads can help you earn money if you could successfully drive low cost traffic to your website. Get traffic for flat fee: Unlike other CPC ad platforms, the learning curve for SU paid discovery is almost none as the ads are charged by a flat fee. Mark ‘not for me’: Use dislike button and open the drop down menu to tell SU that the page is not in-line with your interests by marking it as ‘not for me’. Get inbound links: Google treats followed/nofollowed links from social sites as links from any other site. Become a Poweruser: Amass a huge number of followers over time and wield strong influence. Find potential partners for advertising: Browse through various websites on your niche and learn the potential advertising partners of your competitors’ site. You may pitch them for creating new ad partnership for your website. Find guest authors: Looking for quality content writers? Invite guest authors who also blog on the same niche. Publish guest posts: If you find related websites, pitch them if they accept guest publishing. Use as content feed: Magazines like Forbes are using SU for content syndication. Get consistent traffic to your website: Stumble traffic doesn’t go away quickly as on other social media sites. Social media snowballs: If a particular content is popular on sites like Reddit, it will naturally gain traction on SU as well. Entertainment purpose: Browse and discover new content that you might have never seen before. Long term traffic: Once you started gaining traffic from SU, sometimes it can continue for over the course of 6 months. Use it to gain quick quality traffic: No learning curve and no coding required. If you have a URL, start getting traffic to your site. Create company profile: Create your profile to support your business or blog. Increase search profile rank: A brand’s social media profiles often rank high for brand terms. Plan for upcoming promotion: If you are all set, schedule your ads so it starts automatically when you’re ready for promotion. Forecast the minimum traffic you want: Unlike other ad networks, you can forecast the minimum traffic you’ll gain through ads. Direct people to landing page: If you are solely creating content for your SU followers, how about creating the content on a dedicated landing page that is well optimized for generating more likes? Join #StumbleBloggers: SU occasionally invite users to join for #StumbleBloggers to help gather fresh pages from bloggers that SU community may not have otherwise discovered. Follow channels: With channels, you can view contents from particular sites, people and brand. Get traffic with high engagement level: Though SU traffic is well known for low engagement rates, creating content specifically for SU visitors can skyrocket the engagement level. Personalized guided tour using StumbleThru: With one click get personalized guided content from a particular domain. Increase time spend per visit: Entice users to spend more time on your site using Syndicated StumbleThru. Reduce bounce rate: Use StumbleThru for decreasing bounce rate. Discover ‘trending topics’: Browse through trending topics. Use ‘Add to list bookmarklet’: Add content to your list from anywhere on the web using ‘Add to List Bookmarklet’. Use Stumble Bar: Use it to stumble from anywhere on the web. Use SU Bookmarklet: Use it to start a stumble session even when you’re not on the SU site. Boost Social Proof: Follower count and stumble counts can impress your site visitors. Create targeted content: Create content targeting using demographics. Know top stumbled page: Analyze what your top stumbled page is and why. Use as networking tool and reciprocate stumbles: Team up with other users and share each others’ contents. Categorize websites: Helps search engines for categorizing websites. External meta data: Tagging with keywords and descriptions can give search engines what the content is all about. Quality page: SU can be used to help search engines to determine quality of a page . Use SU badge: Add SU badge to your website so visitors can quickly share you content with others. Distribute top funnel content: SU can be used to distribute content in the early awareness stage of a sales funnel. Long tail content curation: Distribute content to the users regardless of when it was published. Find experts and influencers: Follow the experts you may want to learn from. Co-cite websites: Helps search engines for co citing websites . Help search engine for deeper indexing: Sometimes the content bookmarked in SU is linked deep into the sites. Kill your time: Bored? Use SU as an entertainment site and discover random interesting stuffs. Amplify content: Use employees’ individual profiles to amplify content. Content for specific locations: Create content based on target locations. Content specifically for particular interest: Create content tailored around particular interest. Target browsers: Create content specifically targeted to browsers. Precise targeting: Create content specifically targeted to particular categories. 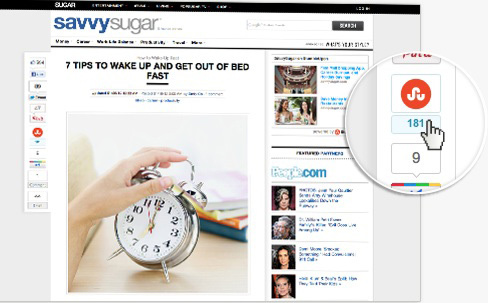 Retargeting: Retarget the visitor who once visited your website from SU. Test content: Test a piece of content’s potential for future outreach. Use list feature: List button allows you to add stumbles to existing lists or create new lists. Test spending $20: A common strategy is to spend $20/day for 3 days and learn whether the SU ad will work for you. Brand signal: Google treats SU as any other social network. So frequently getting mentioned on SU can help you build your brand signals. Search query volume: When you increase brand awareness on SU, users turns to Google for searching the brand term, which helps increasing the search query volume of your brand. Quickly get indexed: Bookmarking your content on SU helps your content quickly gets indexed and ranked. Rank on specific keywords: Choose relevant keywords while sharing on SU. This can help your site rank on specific keywords. Increase credibility: Increase credibility of your domain. Get inspired: Get inspiration/ideas from both targeted and random treats. Explore: Research content using explore function. Use widget: Highlight your strongest content using widget. Use SU channels: Create a channel for your brand or website. Reach your followers frequently and directly to keep them informed and stay relevant. Shorten URLs: Use su.pr to shorten and share URLs. Wow, that’s quite a list. I loved StumbleUpon back in the day. It was so easy to find experts on any topic and quickly see all the very best content every shared about any subject. I never understood why they didn’t capitalize on that. They could have given AdWords a run for their money. Ads on those pages would have converted higher than ads anywhere else. Sadly, you can’t even get to them anymore even though StumbleUpon still has that data and could make those pages available if they wished. SU can still sometimes send thousands of visitors to a post which is why I use Viral Content Buzz hoping someone else will submit my content there. I don’t use it much anymore. It makes me sad to think of what it once was. Great list! I need to go through and explore some of the ideas. I’ve done a little testing with promoted stumbles and that seems to work fairly well for some content. Stumbleupon is one of fun sites that have so many adorable and usefull sites inside. i often used stumbleupon to find something interesting when surfing the sites. sometimes even search engines cannot satisfy your curiosity but stumbleupon can do it without you knowing it.